The Nursery provides part time education for 60 children, split between morning and afternoon sessions. Children are admitted to Nursery in the term after their third birthday. The Nursery is staffed by a full-time teacher and two full-time learning assistants. Various open events are arranged throughout the year for families to visit or at any other pre-arranged time. We offer home visits prior to entry for all families and a staggered intake is arranged in September to enable the staff to offer more support for children’s individual needs and build a clear picture of the child’s curriculum needs. The Nursery is well resourced inside and out with a range of areas designed to stimulate children’s natural interests and support the provision of an appropriate, creative play based curriculum. The session offers a child centred routine, balancing opportunities for children to develop their learning through planned group activities as well those initiated by themselves and alongside friends. The high quality outdoor area is well resourced to support the curriculum, in all weathers, and provide further opportunities to develop children’s gross motor skills on a larger scale. Parents donate a weekly contribution to snack fund, which also supports trips and other enrichment activities. Children move from the Nursery to the Reception Unit the September after their fourth birthday. 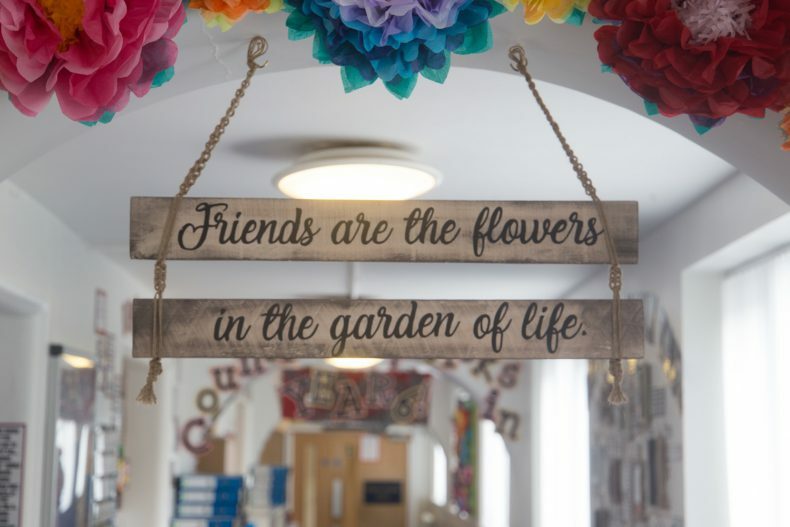 The Reception Unit accommodates up to 60 children with two full-time teachers, two full-time learning assistants and a speech and language teaching assistant. The well-resourced environment provides a wide range of stimulating learning areas arranged to support the children’s individual learning needs in all areas of the curriculum. Resources are organised in a way which encourages the children to become independent learners. The outdoor environment is shared with Nursery and accessed daily to enhance the children’s learning. The children have a similar routine to Nursery, building on prior experiences. However, there is a natural increase in the amount of adult led activities due to the children’s developing needs. Children within the Foundation Stage participate in the whole school activities such as special assemblies and whole school events. 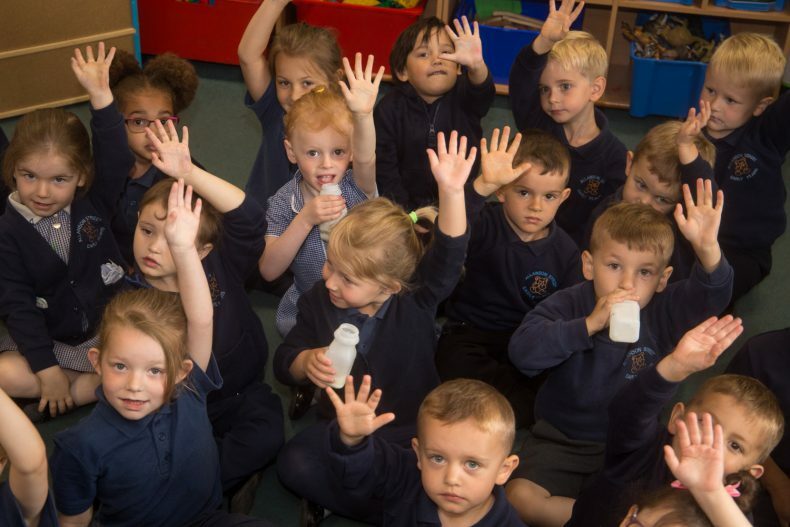 To ensure smooth transition from both Nursery to Reception and Reception to Year 1, the children have a number of visits to their new classrooms and meet their new teachers during the Summer Term. Within Key Stage 1 we have two Year 1 classes and two Year 2 classes. Each class teaches literacy and numeracy during the morning sessions focusing on the development of children’s reading, writing and number skills. These sessions are taught within ability groups which enables all children to succeed and achieve at their own level. We also implement a daily phonics session which helps children to become more independent readers and writers as they develop their awareness of all letter sounds. 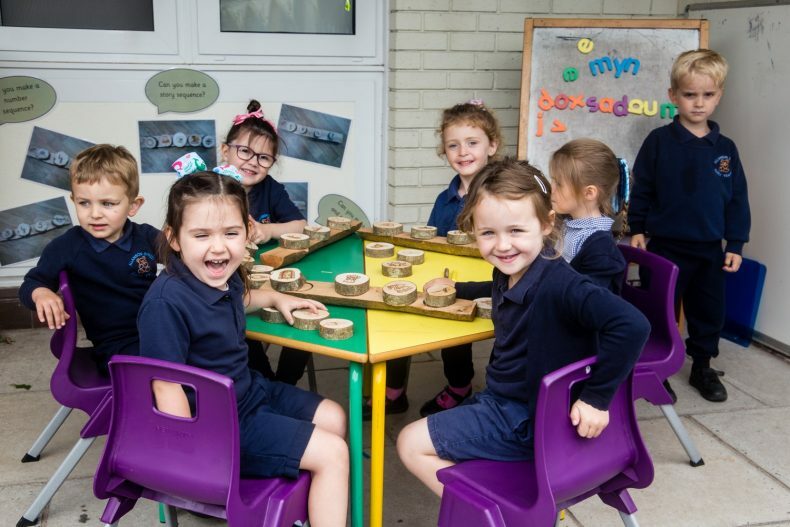 For other areas of learning we follow the National Curriculum through a themed approach which builds upon the children’s experiences within the Foundation Stage and eases their transition into Key Stage 1. Children experience a variety of creative, practical learning activities throughout the year which aim to engage children more enthusiastically in their own learning and therefore enhance their levels of understanding. Themed fancy dress days, motivating classroom areas for learning through play and trips outside of the school environment are also key features of our curriculum. 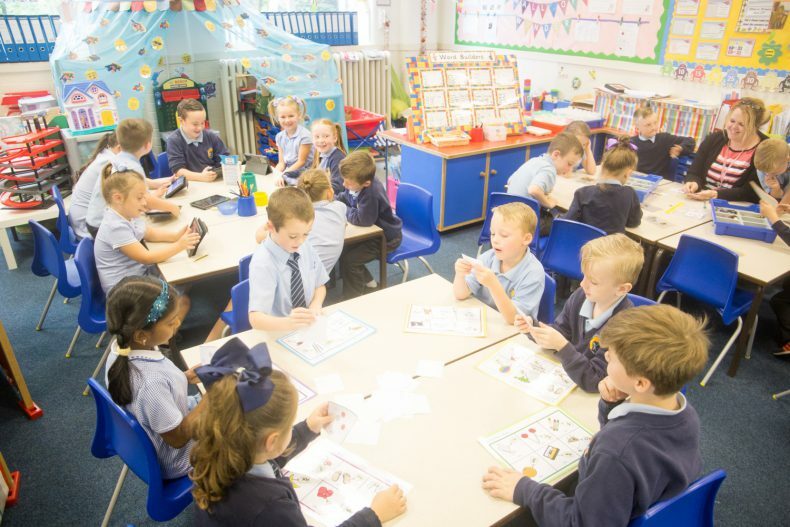 As the children progress through Key Stage 1 they are encouraged to become more independent in their learning with support provided by all staff to enable children to grow in confidence and self esteem. Children within Key Stage 1 are all encouraged to participate in parents assemblies for special occasions such as Mothers Day, Fathers Day and for our Infant Nativity performance, all of which give children further opportunities to shine! All children are set high expectations for their behaviour and are encouraged to ‘be the best they can be’ and to work together to develop a positive atmosphere within each class. Good behaviour is rewarded in many ways including Golden Time activities, and our Theme of the Week special prizes. We also have a weekly Medal Winners assembly where two children from each class are chosen to wear a special medal in school and get to take home a special trophy for the following week. We encourage parents / carers to help their children succeed in all areas of their learning through completing weekly homework sent out every Friday and reading with your child on a regular basis. We recognise the vital role parents / carers have in enabling their children to succeed within Key Stage 1 and offer parents courses within school which you can become involved in to help your child with their learning. 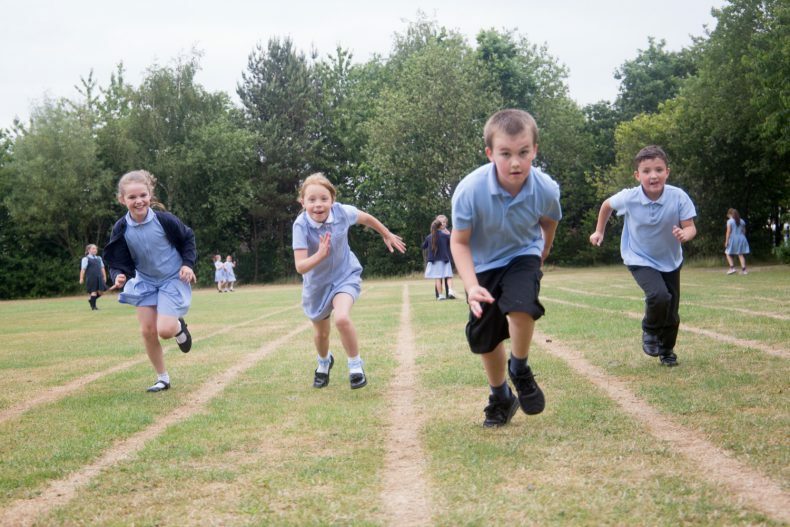 Children transfer to the ‘Juniors’, referred to as Key Stage 2, when they move into Year 3. It is organised into two departments, the ‘Lower Juniors’ (Years 3 and 4) and the ‘Upper Juniors’ (Years 5 and 6). During the mornings, children focus on developing their English, mathematics and guided reading skills. In the afternoons, children undertake project work which, throughout the year, encompasses all of the National Curriculum subjects (i.e. history, geography, religious education, science, physical education, art, design technology, computing, PSHE and music). Lessons are planned and delivered to accommodate a range of learning styles and needs to ensure that every child can effectively access the curriculum and thus reach their maximum potential. Throughout the year, children undertake a range of assessments, the most formal of which are undertaken at the end of Key Stage 2 when the children are assessed using the National Curriculum SATs (Standard Assessment Tests), the results of which are sent on to the relevant high schools. We encourage parents / carers to be as involved as possible in their child’s education and as such, they are sent information each half term, detailing the learning to be undertaken and how best they can support their child. 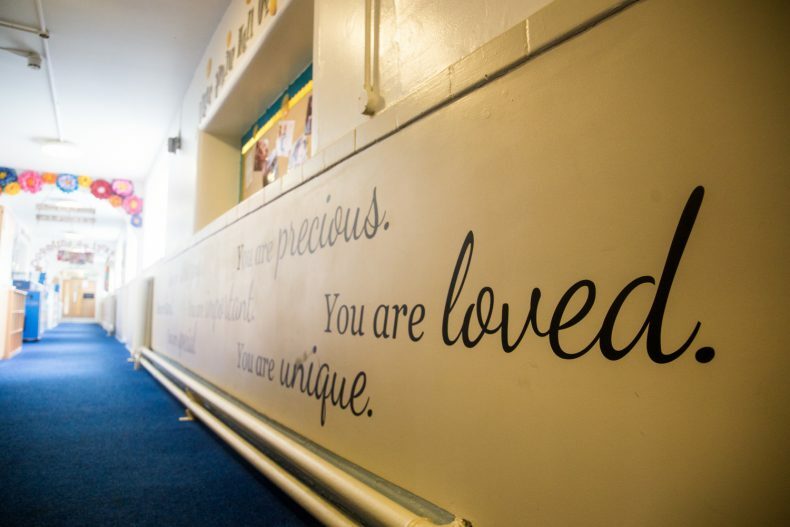 Children are constantly encouraged to ‘be the best they can be’ and as such are encouraged to follow our school code of conduct which outlines the behaviours that children should exhibit in order to be good citizens both in school and throughout their lives. We place a great deal of importance on rewarding children for positive behaviour and a ‘can do’ attitude and as such offer the children a wide range of incentives including medal assembly, golden time and an end of year gold trip for children whose behaviour and attitude have been consistently good throughout the year. Throughout Key Stage 2 children undertake a range of visits including a residential trip in Year 4 and a trip to York in Year 6.They are also given many opportunities to work alongside a range of visitors to the school including artists, musicians and sports coaches. At the end of Key Stage 2 children undertake visits to their high schools. These transition days together with the work that is undertaken throughout the juniors, help to ensure that your child is confident and independent and completely ready to begin their new learning journey at high school. We have a whole school approach to planning in both the long, medium and short term which is organised according to the needs of the children and the requirements of the National Curriculum. The planning systems used take into account the differences in learning and teaching in the Foundation Stage, Key Stage 1 and Key Stage 2. It ensures that all children have equal access to the curriculum, including those with special needs. Planned activities also take into account different learning styles and the interests of the children. Learning activities are differentiated to take account of the needs of individuals and groups. Learning support staff are utilised throughout school to help engage and support children in the learning process. Targets aimed at attainment and progress are set for individuals, groups and cohorts of children. Targets for English, mathematics and personal development are shared with pupils and parents each term. High quality teaching and support staff provide an exciting and creative curriculum which takes account of different learning styles and motivates pupils. Different teaching strategies are used throughout school depending on age and subject. High quality resources are used to enhance delivery of many curriculum areas. We pride ourselves on keeping up to date with relevant, innovative changes to good teaching practice and are always confident that we provide our children with the best possible educational opportunities.